If you find your home facing the threat of a water leak or mold growth, call our water damage Kalama and mold removal Kalama experts with 911 Restoration Portland, where we provide emergency restoration services 24/7/365. There is no restoration repair we can’t tackle and remediate, so if you find a water leak in your home take action quickly. Our water damage Kalama and mold removal Kalama know how to alleviate the severity of damages and reduce chances of acquiring structural damage. To keep your home safe from a water invasion, call the water damage Kalama and mold removal Kalama experts with 911 Restoration Portland. 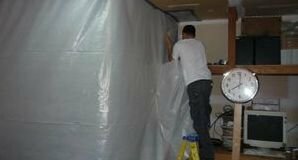 The water damage Kalama and mold removal Kalama are the training and experience to fix water and mold-related damages. When we first arrive on-site, the first thing our specialists do is conduct a free home inspection. This is to determine what the source of your leak it’s, where it is and to provide each homeowner with a comprehensive repair plan. Once the water damage Kalama and mold removal Kalama experts conclude the inspection, they provide each customer with a detailed estimate so they can feel confident about the restoration process. By using state of the art water extraction equipment and by applying advanced drying methods, our water damage and mold removal Kalama experts work around the clock to restore your home even better than its original condition. We will make sure that every inch of the affected areas are properly inspected. If there are areas that are not visible to the naked human eye, such as wall cavities or ceilings, we use infrared cameras to detect lingering and hidden moisture and mold. Let our water damage Kalama and mold removal Kalama experts help protect your home from stagnant water, bacteria and mold. Call us as soon as you discover a leak or notice black stains that could be mold. We know first-hand how overwhelming and disruptive a water damage or mold growth situation can be in your home. You want to protect your family and get your repairs done on time. When you call our local office in Portland, you will be assigned to an experienced project manager who will schedule your appointments, keep you updated and even file your claim for you. So you don’t have to worry about waiting for answers or chasing down your insurance rep. While your project manager takes care of the paperwork, the water damage Kalama and mold removal Kalama experts will meet with adjusters on site. This way your focus can solely be on you and your family. In the event you have a pipe burst or appliance malfunction, call the water damage and mold removal Kalama experts with 911 Restoration Portland, where we lead you to your Fresh Start!